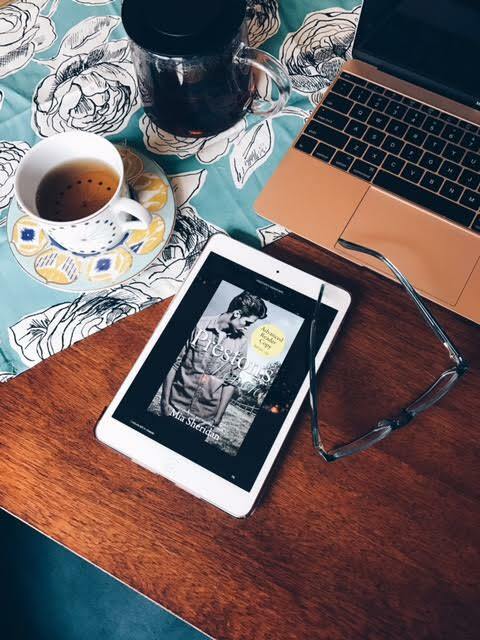 Summary: Another must-read Mia Sheridan romance with all the feels. What I love about Mia Sheridan’s romances is that there is a fated, larger-than-life feel to the love stories. I get swept away wholly… into the conflicts, the heartbreaks, the longing, the tears and the eventual emotional surrender of two people meant to spend their lives together. I felt taken once again with Preston’s Honor—the story of two friends with vastly different upbringings, whose love for each other grew through the years. But their feelings were hidden, lost by what was left unsaid, thwarted by good intentions and reckless promises between brothers. We meet Annalia, the daughter of a poor migrant worker, a girl who grew up unwanted, but who loved the escape of playing with the Sawyer boys, twins Preston and Cole. Even as teenagers, Annalia (Lia) and Preston secretly longed for each other’s affection. 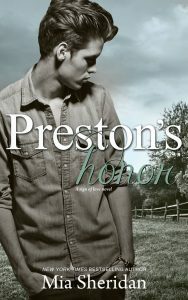 But a brother’s promise kept Preston away from Lia, opening the door to misunderstanding and heartache. But one night, their emotions best their good intentions, and they collide with all the pent-up lust, love and longing they felt. Unfortunately, those moments of bliss unleash a tragic chain of events that would change everything. Months after struggling with a life that should have been heaven, Lia leaves Preston and her new baby behind without word or reason. Each fighting a wave of despair, grief and hopelessness that would breed resentment. Six months later, Lia is back, intent on reclaiming her life and those she loved. But after everything that’s happened, she returns to a Preston who’s hardened after the struggles he’s faced without her. It’s a gut punch for both of them. Through flashbacks from the past intermingled with the present, Lia and Preston begin to open up to each other in ways they never had, to see if they can heal and have a life together. With so many poignant moments, you can’t help but be swept away by Lia and Preston’s story. So much passion, such depth of feeling evoked by Mia’s thoughtful prose. If you’re looking to get lost in a story that just makes you feel and feel and feel, Preston’s Honor is the perfect escape.